This article presents lists of literary events and publications in 1953. Anthony Boucher was an American author, critic, and editor, who wrote several classic mystery novels, short stories, science fiction, and radio dramas. Between 1942 and 1947 he acted as reviewer of mostly mystery fiction for the San Francisco Chronicle. In addition to "Anthony Boucher", White also employed the pseudonym "H. H. Holmes", which was the pseudonym of a late-19th-century American serial killer; Boucher would also write light verse and sign it "Herman W. Mudgett". Nightfall and Other Stories (1969) is an anthology book compiling 20 previously published science fiction short stories by Isaac Asimov. Asimov added a brief introduction to each story, explaining some aspect of the story's history and/or how it came to be written. Untouched by Human Hands is a collection of science fiction short stories by American writer Robert Sheckley. It was first published in 1954 by Ballantine Books. Tales from Gavagan's Bar is a collection of fantasy short stories by American writers L. Sprague de Camp and Fletcher Pratt, illustrated by the latter's wife Inga Pratt. It was first published in hardcover by Twayne Publishers in 1953; an expanded edition rearranging the contents and adding pieces not in the first was published in hardcover by Owlswick Press in June 1978. The original illustrations were retained in this edition. It was subsequently issued in paperback by Bantam Books in January 1980. An E-book edition was published by Gollancz's SF Gateway imprint on September 29, 2011 as part of a general release of de Camp's works in electronic form. The collection has also been published in German. The Tritonian Ring and Other Pusadian Tales is a 1953 collection of stories by American science fiction and fantasy author L. Sprague de Camp, first published in hardcover by Twayne Publishers. An E-book edition was published as The Tritonian Ring and Other Pasudian [sic] Tales by Gollancz's SF Gateway imprint on September 29, 2011 as part of a general release of de Camp's works in electronic form. The pieces were originally published between 1951 and 1953 in the magazines and anthologies Two Complete Science Adventure Books, Fantasy Fiction, Imagination Stories of Science and Fantasy, and Fantastic Adventures. The title story, the novel The Tritonian Ring has also been published separately. The Tritonian Ring is a fantasy novel written by L. Sprague de Camp as part of his Pusadian series. It was first published in the magazine Two Complete Science Adventure Books for Winter, 1951, and first appeared in book form in de Camp's collection The Tritonian Ring and Other Pusadian Tales. Its first publication as a stand-alone novel was as a paperback by Paperback Library in 1968; the first hardcover edition was from Owlswick Press in 1977. An E-book edition was published as The Tritonian Ring and Other Pasudian [sic] Tales by Gollancz's SF Gateway imprint on September 29, 2011 as part of a general release of de Camp's works in electronic form. Earthman's Burden is a collection of science fiction stories by American writers Poul Anderson and Gordon R. Dickson. It was first published by Gnome Press in 1957. The story "Don Jones" was original to this collection. The other stories originally appeared in the magazines Other Worlds, Universe and Fantasy and Science Fiction. The Best Science Fiction Stories: 1954 is a 1954 anthology of science fiction short stories edited by Everett F. Bleiler and T. E. Dikty. An abridged edition was published in the UK by Grayson in 1956 under the title The Best Science Fiction Stories: Fifth Series. The stories had originally appeared in 1953 in the magazines Avon Science Fiction and Fantasy Reader, Fantasy and Science Fiction, Amazing Stories, Fantastic, Astounding and Galaxy Science Fiction. Mutant is a 1953 collection of science fiction short stories by Lewis Padgett. It was first published by Gnome Press in 1953 in an edition of 4,000 copies. The stories all originally appeared in the magazine Astounding. The Forgotten Planet is a science fiction novel by American writer Murray Leinster. It was released in 1954 by Gnome Press in an edition of 5,000 copies. 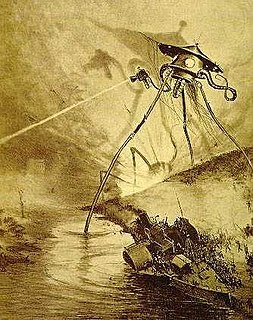 The novel is a fix-up from three short stories, "The Mad Planet" and "The Red Dust", both of which had originally appeared in the magazine Argosy in 1920 and 1921, and "Nightmare Planet", which had been published in Science Fiction Plus in 1953. Interplanetary Hunter is a 1956 collection of science fiction short stories by American writer Arthur K. Barnes. It was first published by Gnome Press in 1956 in an edition of 4,000 copies, and later reissued in paperback by Ace Books in 1972. German editions appeared in 1957, and an Italian edition in 1981. An expanded e-book edition, including all nine stories featuring the title character, appeared in 2009 as The Complete Interplanetary Huntress. The Seedling Stars is a 1957 collection of science fiction short stories by James Blish. It was first published by Gnome Press in 1957 in an edition of 5,000 copies. The stories concern the adaptation of humans to alien environments. This may be viewed in contrast to the concept of adapting planetary environments to suit humans (terraforming). The Tyrant of Time is a collection of science-fiction short stories by the American writer Lloyd Arthur Eshbach. It was first published by Fantasy Press in 1955 in an edition of 1,547 copies. Most of the stories originally appeared in the magazines Wonder Stories, Amazing Stories, Thrilling Wonder Stories, Science Fiction and Strange Stories. Cloak of Aesir is a collection of science fiction stories by American writer John W. Campbell, Jr.. It was published in 1952 by Shasta Publishers in an edition of 5,000 copies. The stories originally appeared in the magazine Astounding SF under Campbell's pseudonym Don A. Stuart. Ahead of Time is a collection of science fiction stories by American writer Henry Kuttner, first published in hardcover by Ballantine Books in 1953. A British hardcover appeared in 1954, with a paperback following in 1961. Paperback reissues of both the UK and US editions appeared in the mid-1960s. A French translation appeared in 1962, and an Italian translation in 1971. Angels and Spaceships is a 1954 collection of science fiction and fantasy stories by American writer Fredric Brown. It was initially published in hardcover by E. P. Dutton; a later Bantam paperback edition was retitled Star Shine. ↑ "Recommended Reading," F&SF , February 1954, p.95. Chalker, Jack L.; Mark Owings (1998). The Science-Fantasy Publishers: A Bibliographic History, 1923-1998. Westminster, MD and Baltimore: Mirage Press, Ltd. p. 239. Contento, William G. "Index to Science Fiction Anthologies and Collections" . Retrieved 2008-03-19. Tuck, Donald H. (1974). The Encyclopedia of Science Fiction and Fantasy. Chicago: Advent. p. 87. ISBN 0-911682-20-1.